California’s unique plants range in size from the stately Coast Redwoods to the minute belly plants of the southern deserts and in age from the four-thousand year-old Bristlecone Pines to ephemeral annuals whose life span can be counted in weeks. 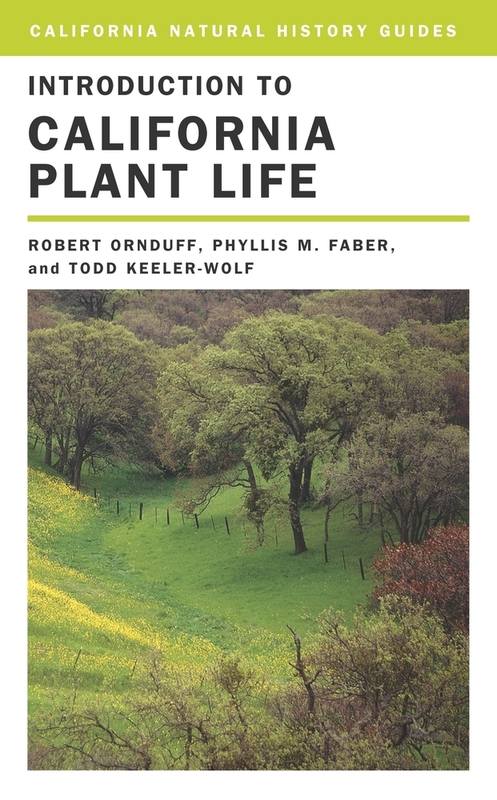 Available at last in a thoroughly updated and revised edition, this popular book is the only concise overview of the state’s remarkable flora, its plant communities, and the environmental factors that shape them. Robert Ornduff (1932-2000) served as Director of the University and Jepson Herbaria, Director of the University Botanical Garden, and Professor of Integrative Biology at the University of California, Berkeley. Phyllis M. Faber is General Editor of the California Natural History Guides. Todd Keeler-Wolf is Senior Vegetation Ecologist, California Department of Fish and Game.